Calculation of the terrace area. Determination of the number of rows of boards. 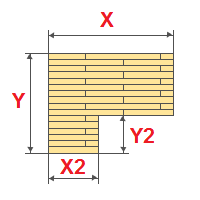 Calculation of the required volume of the terrace boards. Number of aluminium or metal. Calculation of the required number of rubber pillows, mounting clamps, screw piles and footings Support. 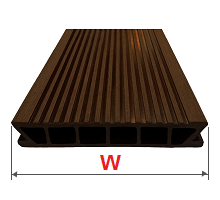 Calculation of the number of profiles for the support frame. Change the direction of laying the terrace board. Set the shape of the terrace. Change the length and width of the Board. Install a gap between the terraced boards. Use of aluminium or metal. Select the basis for the terrace. General drawing of the terrace with the dimensions and direction of the laying of the board. Scheme of the supporting metal frame. Layout plan for aluminum or metal lag. The scheme of arrangement of screw piles.